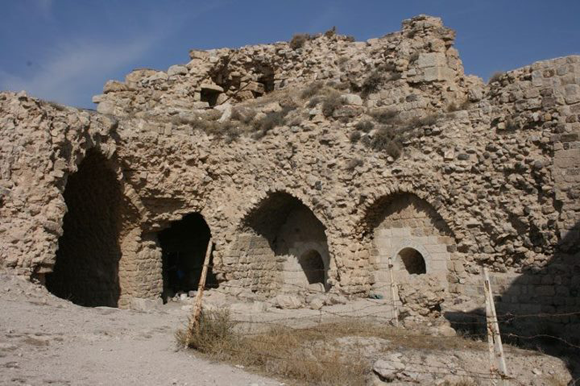 Last month on the Joan Allen blog, Jules showed off all of his top finds when he was detecting in the Middle East, many of them relics from the former Ottoman Empire. 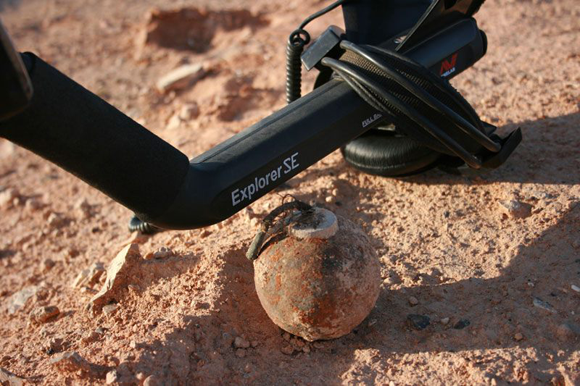 In 2008 I took part in a metal detecting expedition deep into Jordan. One of our prime objectives was to establish and look at the boundaries of World War One period battle-sites. Of course we found lots of various bullets and shrapnel and numerous coins. 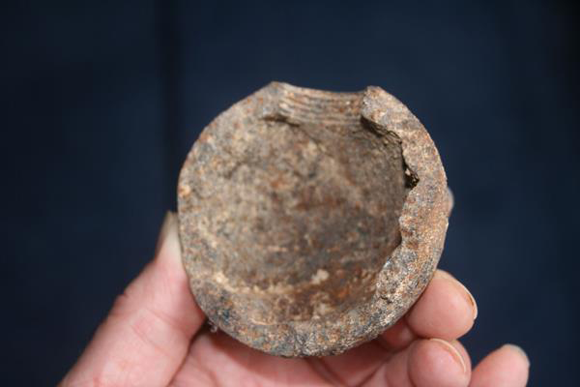 One thing we did find were some curious fractured spherical objects, which later discoveries and research proved to be pieces of Ottoman “Cricket Ball” grenades. Basically these were cast iron globes moulded with weakening points packed full of black powder with a long hand lit fuse at the top. Upon exploding the really just sort of fizzed and burst open in a puff of smoke as all the bits we found were halves and large sections. So it looked like they were more akin to the stuff of Walt Disney cartoons than an aggressive piece of military hardware. Later we found several complete examples which despite their seemingly poor effect were nevertheless dealt with by the Jordanian Army. The amazing thing about these objects is that when we discovered them they were very nearly 100 years old but in perfect condition. Some of the fuses still had copper alloy protector tips in place, which stopped them fraying and also I suppose prevented accidental lighting of the fuses. Whilst checking out a battle site near Ma`an in Jordan I found this in the fine dessert sands. It is believed to be the back from an Ottoman soldier, perhaps an Officer`s pocket watch, but it is beautifully inscribed. As with such personal objects, especially when they bear no name, a whole host of questions come to the forefront: Who was this man? Did he ever return home? Such questions sadly will never be answered, but at least in one tiny way whoever he was, he is now remembered. 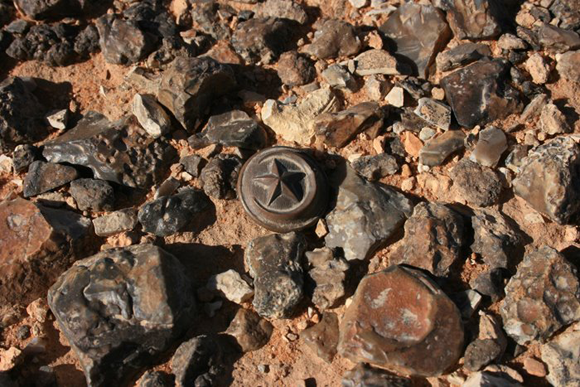 Here we can see an Ottoman soldiers button lying amongst some pebbles high up on a Jordanian mountain. My Explorer detector just bleeped and I looked down and there it was. Due to the remoteness of the site its almost certain that this button lay exactly where it fell in the Summer of 1917. When we hear the term “Allies” being used in relation to conflict most people think of the unity of the British, Americans and French of World War Two. But in general terms allies means any normally seperate groups of forces who combine normally under some type of agreement or treaty in times of conflict. In World War One the Ottoman Empire and German Empire were allies, although the Germans always looked upon them as somewhat inferior. 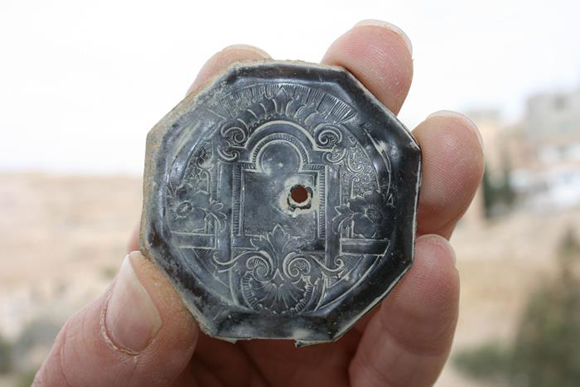 On metal detecting an Ottoman tent enclosure out in Jordan archaeological evidence of this former alliance was perhaps not better illustrated than by these two finds and Ottoman button and a few feet away a German example. Evidence of times long ago only capable of being found and shared with the use of a metal detector. Searching the collapsed ruins of a train station we found some true “Turkish Delights”. It seems that the station took a direct artillery hit or was blown up by sabotage. 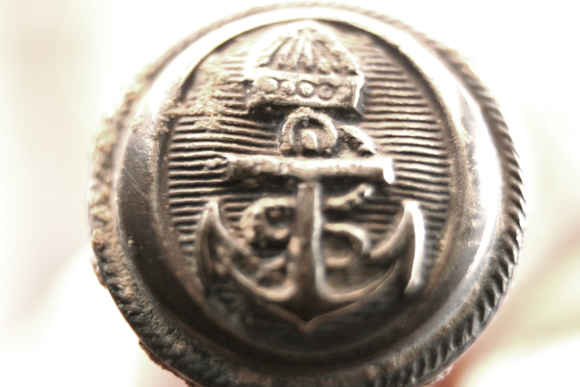 This example of a delightful military (Naval) silver button is as yet unidentified. It had a German marking on its reverse but the crown is rather Jordanian in its style. 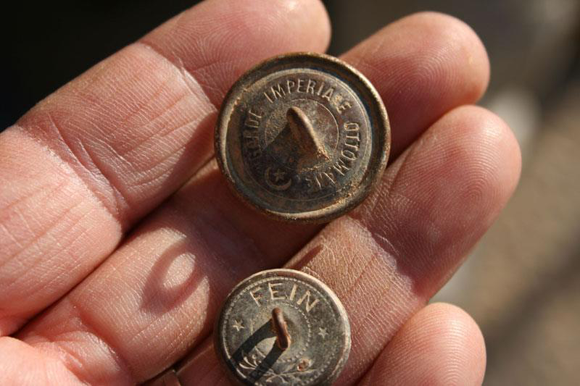 It was a metal detecting find from an Ottoman encampment so may well be a variety of German manufactured button for the Jordanian market almost certainly an officer no doubt. 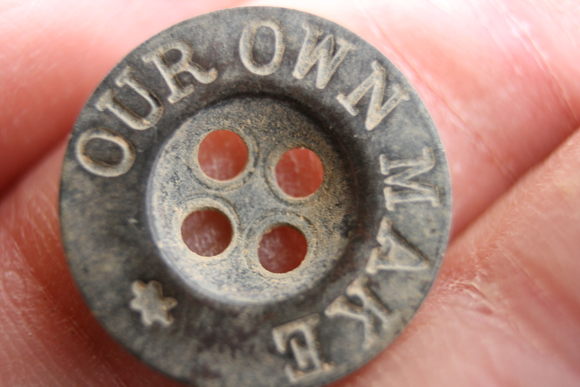 This is a short or perhaps trouser button recovered from the sands of Jordan on a WW1 British Army encampment. I just love the simplicity of the manufacturers stamp. A tiny find no doubt but who once fastened this – did they survive Lawrence’s campaign, did they get back to Britain? Could the grand father etc of that person who just walked past me in the street have once touched this very button? 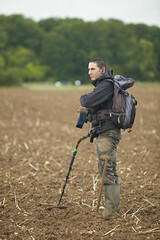 Answer’s to which I’m afraid we will never know, but surely fertile grounds for imaginations to run wild, and in my book that such a special development of the hobby of metal detecting. If you want to see all of Julian’s top finds in Jordan and from the UK, then make sure you “Like” Joan Allen on Facebook and follow us on Twitter.